FBI Failures to respond – Taking money under false pretenses. | Scanned Retina – A Resource for the People! ← City of Irvine, California Who is really in charge? 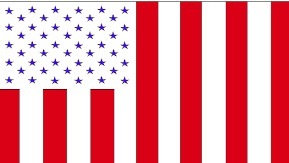 As a sovereign American, I am taking this opportunity to express my feelings regarding what I believe to be your treasonous actions against legitimate American Citizens of the land jurisdiction. **Updated** 23JUN16 – CAFR1 NATIONAL POST: Does Government Protect Your Feelings? Please find below a list of items for which you claim responsibility or brought directly to the attention of the agency you currently are the chief administrator. With no evidence to support or confirm those currently under your command and previous directors, have met any of the responsibilities for which you make claim, I can only take the position you are operating in misrepresentation, fraud, violation of the oath of office for your position. Alicia Lutz-Rolow/ Leonard Harview wrmltd: EXPOSED!!!!! The misrepresented corporate constitution; by-laws of the corporation; not the law of the land! Fraud Visiates ALL!!!! There is no evidence which I have found that you or your predecessors have acted in good faith. FBI Director Comey: Taking money under false pretenses…? A little service here PLEASE! Director…you are acting outside of your job description. You have violated the terms of your employment contract. You are in breach of the public trust. You have no discretion as to what or who is to be prosecuted. Your agency is limited to investigation and establishing evidence and sufficient probable cause to proceed with prosecution. Congratulations…You and your agency have done your job in establishing Ms. Clinton has committed such crimes as to merit she be indicted and prosecuted. You may have an opinion on the matter but so what; everyone has an opinion. First there is the matter of the legitimacy of any alphabet agencies to even act as an agency of the government of the American people. 27JUN16 – carl alfred: Swensson: FBI impersonating whom? Criminal Impersonators, posing as FBI murdering Americans? AMERICANS ARE UNDER ATTACK!!! Impostors posing as FBI Murder Americans? Americans TAKE ACTION!! 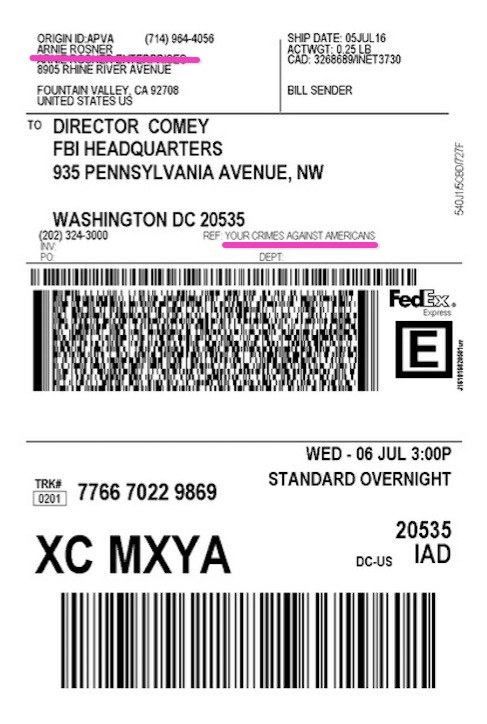 FBI Director Comey: Second Request—Have I missed your response? FBI Director Comey: Third Request: Expressing my opinion here but what does Ms. Clinton have on you? Attention FBI Investigators 17-JUN 16: Honoring your oath is not an option or bargaining chip. NO IRS!!! The Challenge is made! Show us the LAW! An honorable man would immediately tender his resignation. But then it appears you have already proven the fruit of your tree.